Somewhere in Philadelphia, scuzzy Americana rock met aesthetically aware pop and a creole of Susquehanna swamp rock was born. SHEER MAG's first show was in February and since then, the stand out demo track “Sit and Cry” has racked up a lot of listens. It's just that type of song, one you listen to on repeat for a few days straight. The rattle of a hi-hat with soulfully squelchy female vocals echoing from under a layer of modern nostalgia. It's a soul that could be typical of the Philadelphia sound…the Americana DIY rock that moves you in your not-so-fresh cutoffs jeans when the city's reigning DIY punk isn't. Both set your climber-clipped keys a shaking to the beat in a humid-as-hell basement off a narrow corner street awash with the milky orange glow of the street lamps. Shine bright like a creamsicle melting in August. The fuzzy yet syrupy guitar and vocal style is a lovely contrast to the high-fashion magazine of the same name but little to do with the band name's origin. “It's actually short for sheer magnitude,” they explained to me, in an Internet-friendly all lower case email that briefly underminded the impact. Probably why they favored the gnarly ALL CAPS via late-70s rock lettering on their white sheet they use as a backdrop live. A humidity-saddled stream of ideas could have spawned more than the name, but the band itself. “Living in the city and I don't know why. Doing nothing but trying to get by” seems to sum up the pre-thinking follow-through that sets creative endeavors in motion when other aspects of life seem more stale than we can handle. 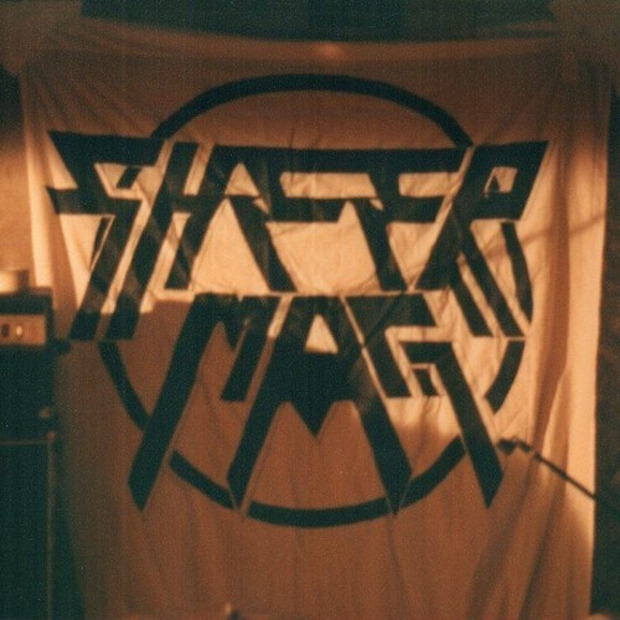 With shows continually cropping up in Philly and New York, a debut 7″ coming in June and an LP in the works, SHEER MAG is going to be anything but stagnant this hot, sweaty summer. Stream “SIT & CRY (DEMO)” below and listen to both demo tracks via Soundcloud.